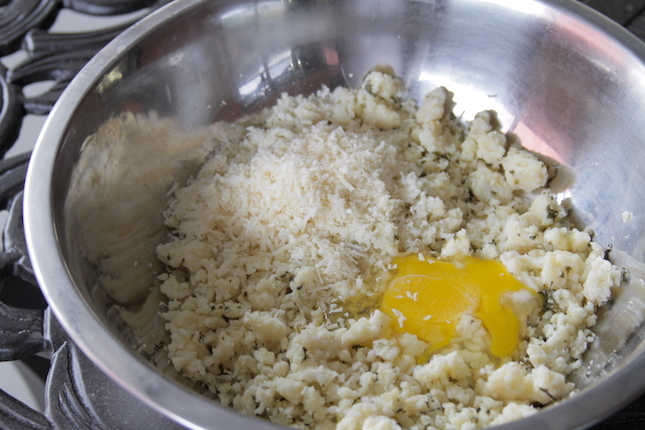 Mix together the cooked rice, parmesan and two eggs. Season with Chili Dawg’s Green Chili Seasoning and salt. Divide the rice into 8 balls. Stuff each one with a cube of pepper jack cheese. Whisk together the remaining eggs. Dip each ball in the eggs. 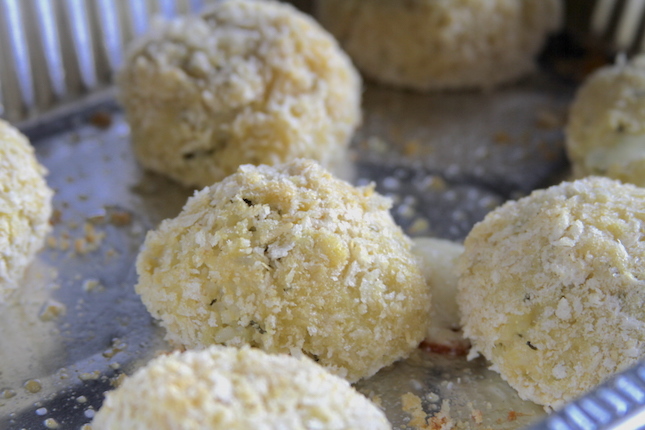 Roll each ball in the breadcrumbs. Chill in the refrigerator for an hour. Preheat your Yoder Smokers YS640 to 400ºF. 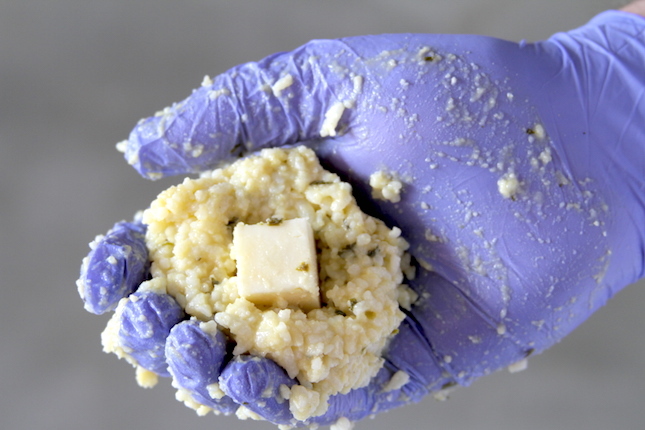 Transfer to the cooker and top each ball with a little olive oil. Bake until outside is crispy and lightly browned, about 30 minutes. 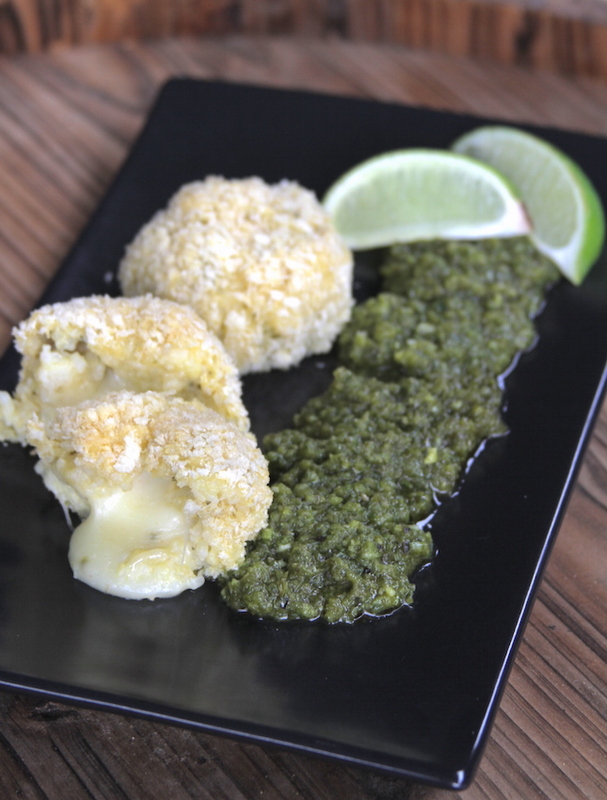 Serve with chimichurri sauce. Cilantro Lime Rice-Combine the rice and chicken stock in a sauce pan. Cover and bring to a boil. Turn heat to low. Cook until rice is tender. Stir in cilantro, lime juice and salt. Taste and adjust seasoning as needed.